One is leaving. Another is staying. And 5 more have fantastic futures ahead. 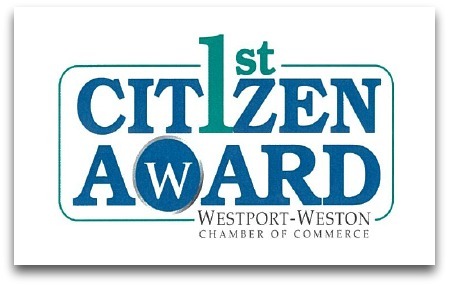 This Tuesday (June 9, Westport Inn, 6:30 p.m.), the Westport Weston Chamber of Commerce presents First Citizen Awards to Westport Library director Maxine Bleiweis (she’s leaving, after turning it into an amazingly lively and innovative place) and Sam Gault (5th-generation president of the company that bears his family’s name; driving force behind Saugatuck’s wonderful rebirth — he’s staying). Scott developed a subscription weather service, a weather app and a general interest blogging platform. Nick owns Top Hat Tutors, employing 22 tutors in a variety of subjects. Michael blogs about emerging technologies, and is a website consultant to businesses. That makes sense — the Chamber of Commerce is all about supporting local businesses. 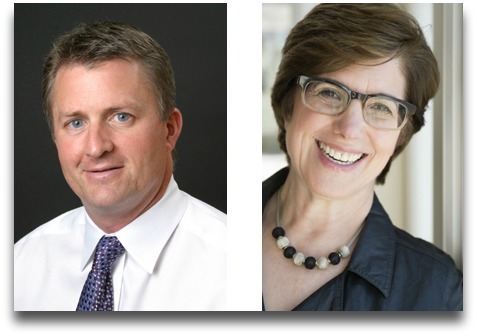 So — this also makes sense — Tuesday’s keynote speaker is Ron DeFeo. He’s CEO of Terex Corporation. It’s a local business (in the sense that it’s headquartered here). But it’s also a $7.1 billion manufacturer of heavy equipment, with over 15,900 employees and 50 manufacturing facilities on 5 continents. The library. Saugatuck. Construction cranes. That’s a paragraph that may never have been written before, in the history of the world. But it’s all on tap here this Tuesday — plus catering by Garelick & Herbs. Sam Gault and Maxine Bleiweis. This entry was posted in Library, Local business, Organizations, People, Saugatuck and tagged Maxine Bleiweis, Ron DeFeo, Sam Gault, Terex Corporation, Westport-Weston Chamber of Commerce. Bookmark the permalink.